This Savage Song is the story of Kate and August, the heirs to the two men in charge of either half of Verity, a city torn by monsters that are formed from the violent acts of sinners: the Corsai, formed of shadow and feeding on flesh; the Malchai, the blood drinkers who roam the streets; and the rare Sunai, the coal-eyed, human-like soul eaters. Kate and August, through family feuds, should be enemies. This is what happens when their lives collide. we were both sent this book by the publisher, Titan Books, in exchange for an honest review. All thoughts are our own. 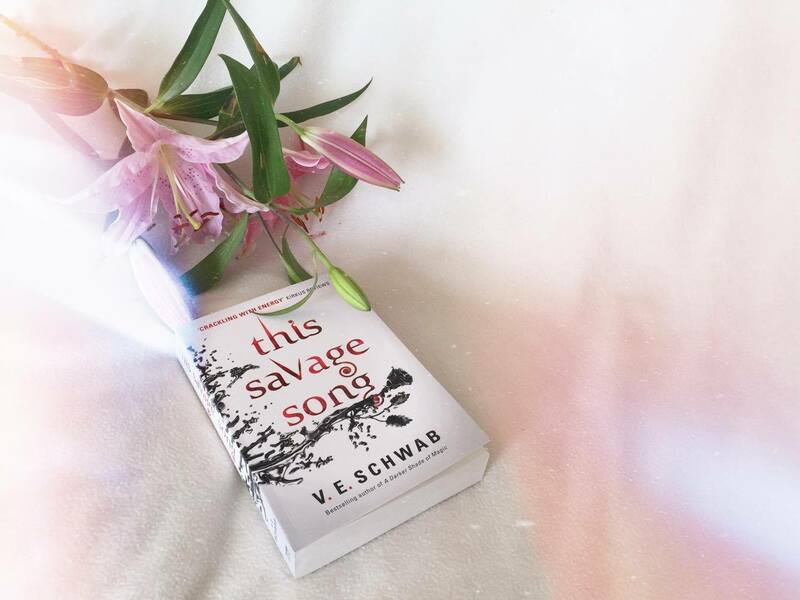 This Savage Song is definitely unlike anything I’ve ever read before, and it was right up my street. A dark urban fantasy written from two points of view, some amazing badass characters, an ending full of suspense and leaving me needing the sequel already, and on top of that, monsters?! This book was amazing! I feel like I’ve read so many books about vampires, werewolves, fairies, angels and demons, chimaera, even zombies, but monsters seem to be often sadly left out of fiction. I’m officially putting out a call to action for more monster related books to be written. Anyway, this book. it was perfectly written and laid out, with the sections being titled as verses, and the idea of the story being a song was prevalent throughout. Sunai, Sunai, eyes like coal. I was so hooked on this book that I was genuinely counting down the minutes until I could carry on reading it whenever I wasn’t able to. I connected with the characters so well, and a relatable character is one of the main necessities in a book in my opinion. First, there’s Kate, the daughter of crime lord Callum Harker who runs one half of the city. She was a character who I fell in love with straight away. She distances herself from others and shrouds herself in anger in an attempt to impress her father, but has deeply hidden secrets and problems that she buries. August is the adopted son of Henry Flynn, who runs the other side of the city. August is a monstrous boy who just wants to be normal. I loved both of these characters, as well as their interactions with each other and the way that their friendship developed through the book. They are completely different, but complement each other perfectly, and this development and their journeys, both separately and together, are at the heart of the plot. The story also revolves around the idea of looking at who is truly the monster in the situation; those who are called monsters, or the men who use and control them. As I said earlier, this book is so unique and I did thoroughly enjoy it. It’s not even been released yet, and I’m already anticipating the sequel! + V.E. Schwab can do no wrong when it comes to writing monsters. She takes the concept of them (which has been done so many times) and turns it on its head. This novel doesn’t only explore monsters vs monsters but more importantly, the roles humans play in showing that not all monsters are monstrous and not all humans are good. + I love that at the heart of this story is the friendship between Kate and August. Yes, you heard me, friendship. Whether or not their relationship develops in the sequel remains to be seen but at the moment, I am so happy with their journey as friends. I think authors can forget the strength in friendship. Kate and August are polar opposites (not just because they are different species) and yet they come together to form a mutual trust and a formidable team. They sacrifice a lot for each other and I’m exciting to see where their journey takes them. And despite everything, August smiled. Kate smiled at the praise, even if it was an act. She’d show him. She could be strong. She could be cunning. She could be cold. 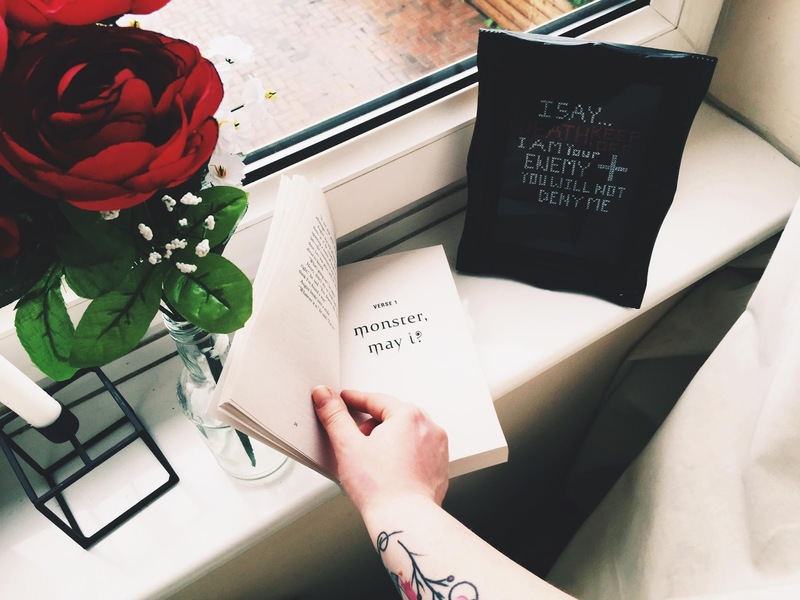 + August is one of the three monsters in this book. He is a Sunai, a creature that is able to lure victim’s towards them with music only to kill them by feeding on their soul. He sounds scary right? Nope. August is a little golden retriever. He dotes on his adoptive family, wishes he was normal and has a very good heart. I loved his relationship with his sister, Isla (who I want to see a LOT more of in the sequel) and he is proof that not all monsters have a monstrous heart. + One thing that I loved in this book was the mention of disabilities. Kate has lost her hearing in one ear and that is never mentioned and then forgot about a chapter later. It hinders her a lot but she still pushes on. August, due to the hunger that he often experiences, develops moments of sensory overload. As a person on the autistic spectrum, I too suffer with this and V.E. Schwab described these episodes in perfect detail. People just don’t get it when I can sometimes shout “It’s too loud!” so it’s so refreshing that this is explored. August cringed; the overhead lights were too bright, the scraping of chairs too sharp. Everything was heightened, like the volume on his life was turned up but not in an exciting way. Noises were too loud and smells too strong and pain — which he did feel — too sharp. + Overall, I really enjoyed this book. I did enjoy Vicious more so that’s why I’ve knocked off half a star. I can’t wait for the sequel so I can lose myself in the world V.E. Schwab has created. If you want a book with a strong friendship, flawed but wonderfully written characters and monstrous worlds, then this is the one for you. This Savage Song is released on the 7th June in the UK and the 5th July in the US. Feyre is immortal. After rescuing her lover Tamlin from a wicked Faerie Queen, she returns to the Spring Court possessing the powers of the High Fae. But Feyre cannot forget the terrible deeds she performed to save Tamlin’s people – nor the bargain she made with Rhysand, High Lord of the feared Night Court. As Feyre is drawn ever deeper into Rhysand’s dark web of politics and passion, war is looming and an evil far greater than any queen threatens to destroy everything Feyre has fought for. She must confront her past, embrace her girls and decide her fate. 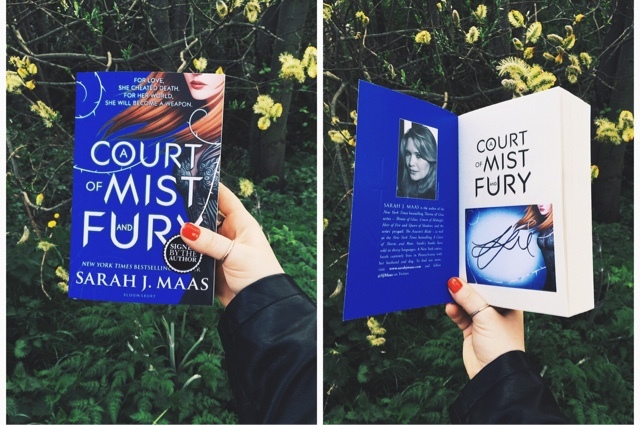 This book as a whole was a strong, addictive piece of writing – something that I’ve come to expect from Sarah J Maas. When it was announced that this would be a reselling of the story of Hades and Persephone, I think a lot of fans worked out what (or who) that meant that this book would feature a lot of. ACOMAF explores some new areas of Prythian as well as expanding on old characters and introducing new ones – almost all of whom I loved, especially Mor. As with ACOTAR, the majority of the action was definitely in the last third of the book, and once again this irritated me slightly but has also left me anticipating the final book in the series. Looking back, this middle section definitely had a lot of important character and relationship building parts, and I’m so glad that they were included. ACOMAF also deals with a lot of important issues, mostly related to what is right and wrong within a relationship, and the importance of equality. I was blown away by this book, and had no choice but to give it 5/5 stars! 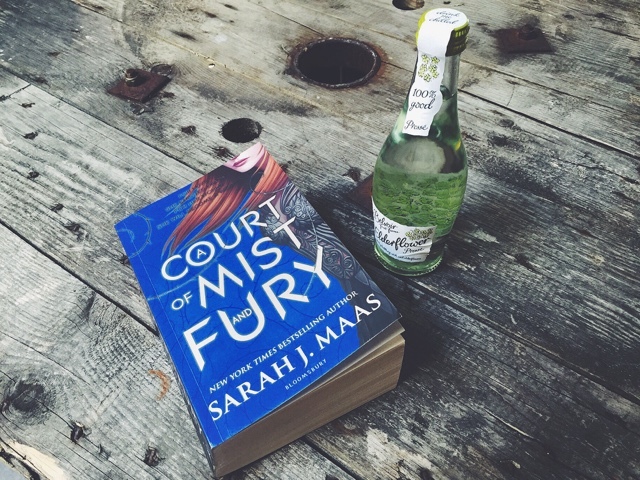 Is anyone else reading A Court of Mist and Fury at the moment? What did you think? Let us know in the comments!